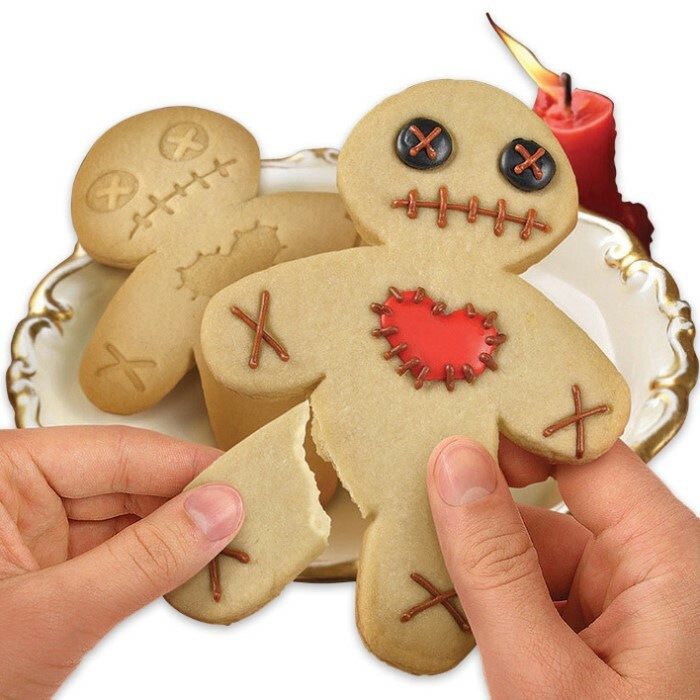 Cursed Cookie Cutters | BUDK.com - Knives & Swords At The Lowest Prices! 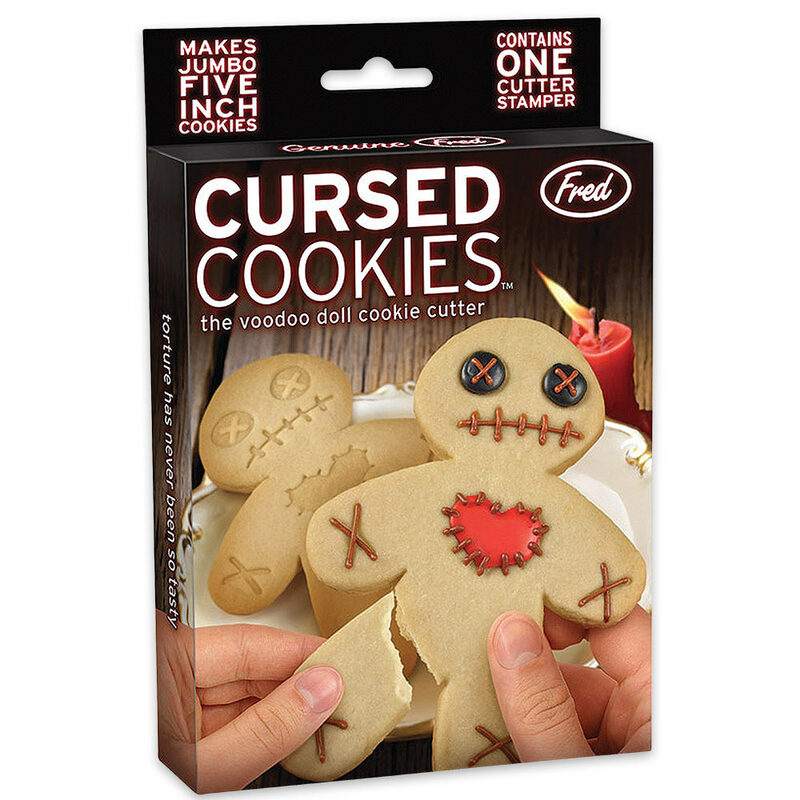 Sticking pins in a voodoo doll is so yesterday. Why not bake a voodoo cookie instead so you can have your revenge and eat it too! 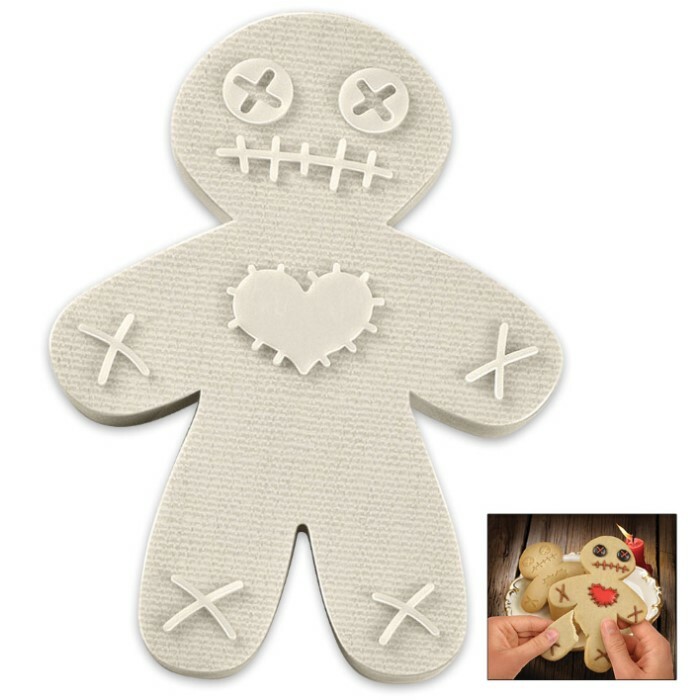 The Cursed Cookie Cutter punches the shape on one side and stamps the detail on the other. The 5 1/2” cutter is molded from safe ABS plastic. Torture has never been so tasty!